Did you know McClendon’s Select can be found in Las Vegas? It’s true. 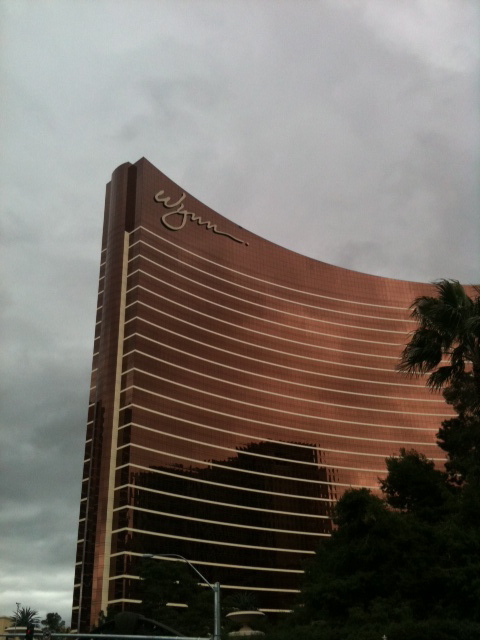 We have been working with restaurants at the Wynn Hotel for several years now. 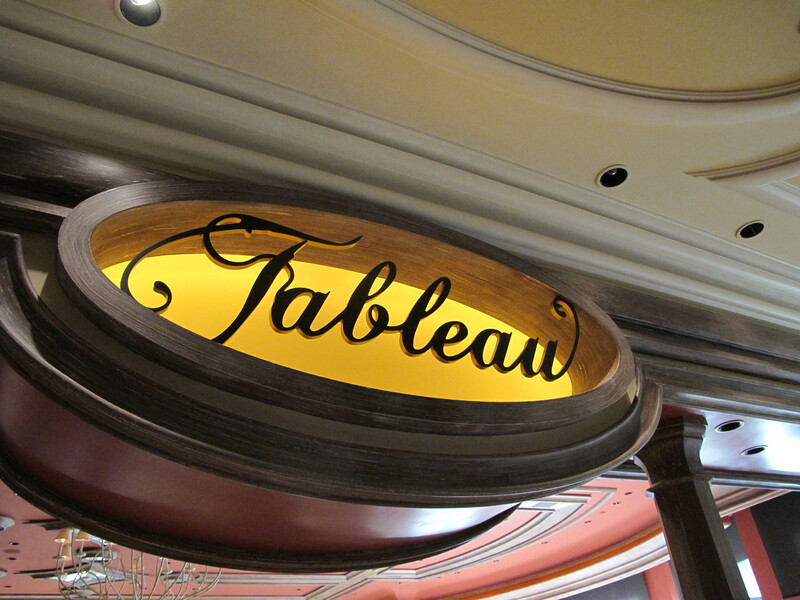 Tableau and Stratta both feature McClendon’s Select produce and honey. Sean and I were lucky enough to go up to Las Vegas for a few days after Christmas and see what they were doing with our veggies. (Okay… yes we had some fun up there too!) At Wynn nothing is done second rate. 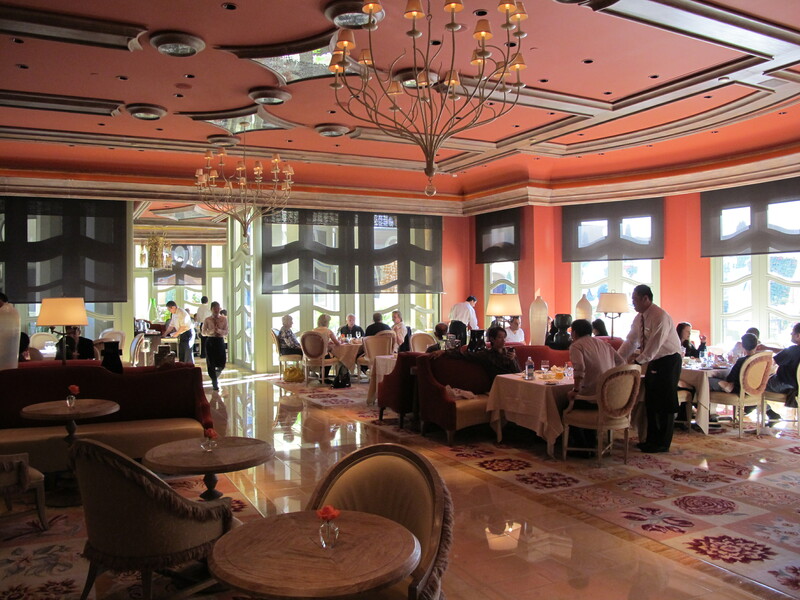 Their restaurants are all beautiful venues dedicated to top-rate service and spectacular food. 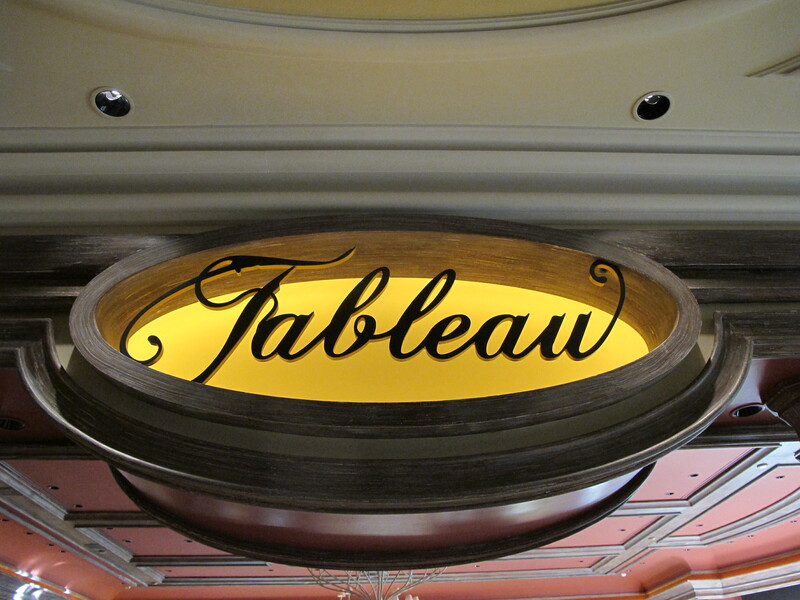 Tableau is a breakfast and lunch venue tucked away in the Wynn Towers Suite lobby. It is a beautiful room (the photo doesn’t do it justice) with views looking over the pool. It was so quiet and elegant, you could easily forget you are in a casino. Stratta is a modern Italian venue with wood-fired pizzas in a lush, contemporary lounge setting. On of the highlights of our trip was getting to have a behind-the-scenes kitchen tour of the formidable Alex restaurant and dinner there later that evening. Alex, sadly, shuttered its doors this past week. I wouldn’t normally write about a restaurant that doesn’t exist anymore, but Alex deserves to have respect paid. 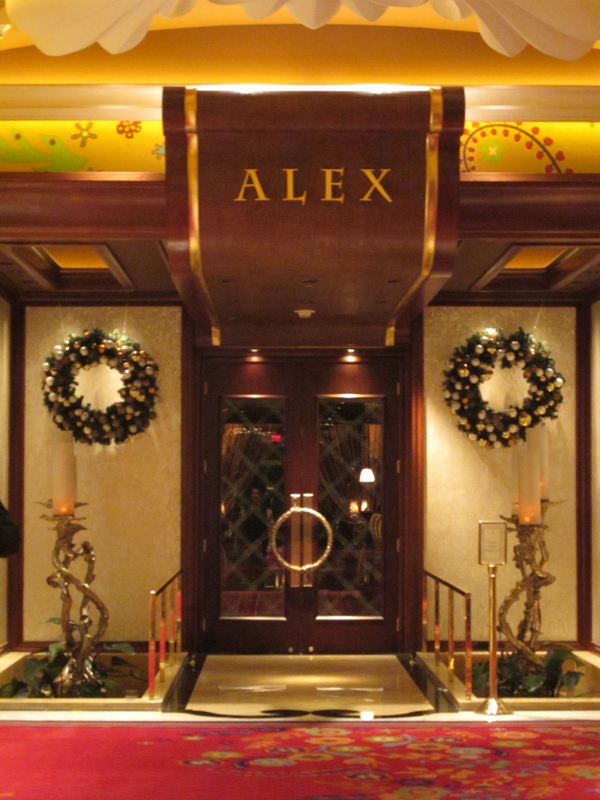 Prior to their closing, Alex had a reputation of being one of the finest dining venues in Las Vegas, if not the country. We had worked with Alex Stratta, the executive chef, since the opening of the restaurant. 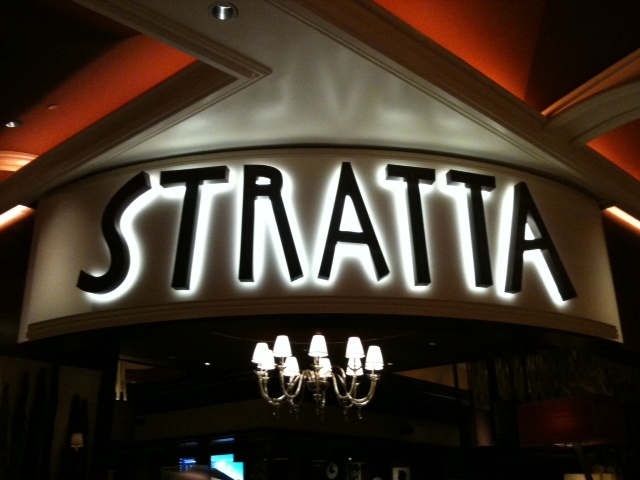 Stratta has trained under Alain Ducasse, worked with Daniel Boulud at Le Cirque in New York and had been with our own Phoenician here in the valley. His namesake restaurant was a grand venue bringing the breadth of his experience to an ever-changing imaginative menu that combined seasonal, organic foods with French culinary finesse. There are not words to describe Alex restaurant, but there were two Michelin stars awarded. Enough said. Erik Plank, the head chef, gave Sean and I a full tour of the restaurant and kitchen. The kitchen looked like something out of “Ratatouille”, gleaming white tiles, polished brass fixtures, all stations immaculate and perfectly organized. Sean and I marveled at their vast wine collection, the pastry kitchen, and the chef’s table that was reserved for a minimum price that would make you shutter. What was truly telling about their dedication to using only the freshest ingredients was how small their walk-in cooler is for frozen storage. We got to watch as they prepped the fish and duck for the evening’s special and large pots bubbled with special sauces and broths. But what we both really geeked out over was the Australian finger limes (also called caviar limes) I spotted in the walk-in. I guess I have now been completely indoctrinated at the farm, because I was thrilled when Erik offered to cut one up for us to see. We had heard about this variety of lime before, but had yet to see one. They are smaller than a normal lime and elongated, more like a fingerling potato. From the outside they are a dark green-brown color that doesn’t look like a healthy shiny green lime, but on the inside they are filled with beautiful little pinkish pearls that are bursting with lime juice. 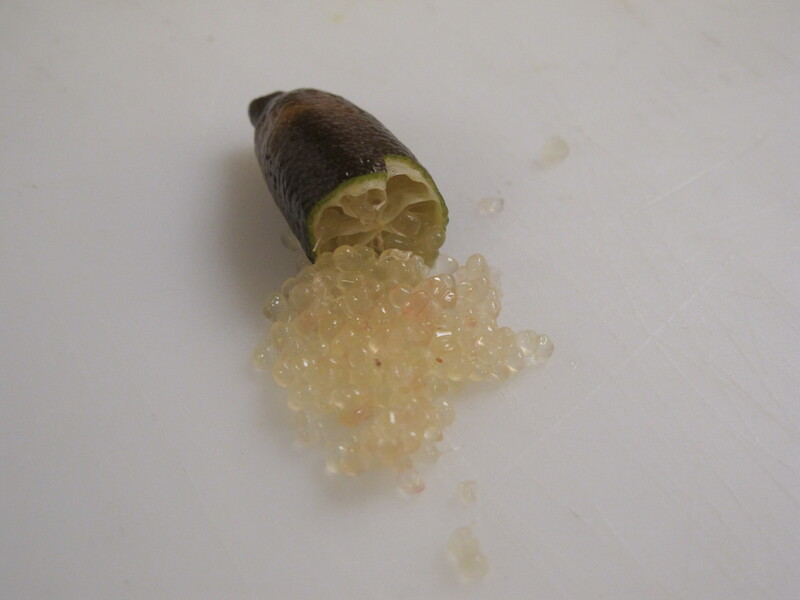 Erik scored the sides of the finger lime and the little pearls spilled out like caviar. These little gems are pretty rare in the U.S., and sadly since they originate from the rain-forest region of Australia, they are not something we would be able to grow here on the farm. I was thrilled to see one and try it. They are as special and unique as we had heard. We did return to Alex that night for dinner. After the tour, how could we not? I already had a running list of what I wanted to try having had a sneak peek. I had thought it was extraordinary during the day, but I had no idea how truly opulent it was until we came back that evening. 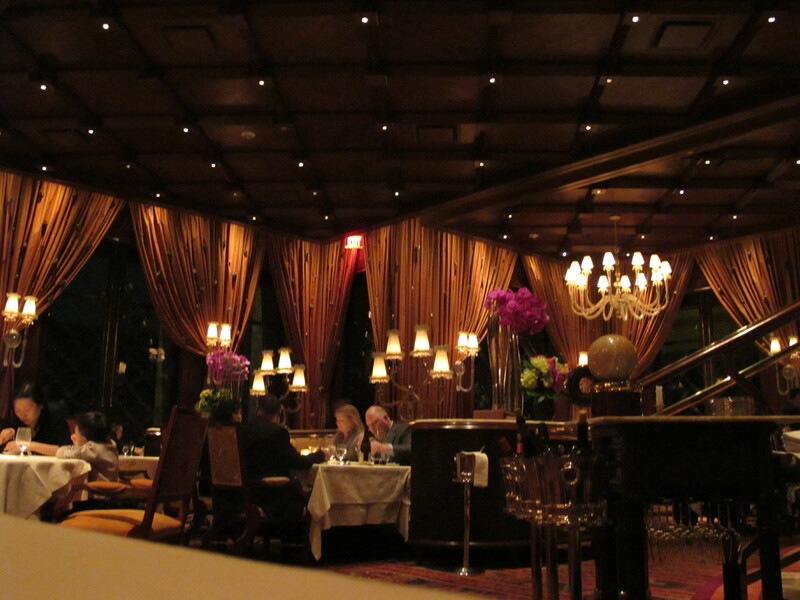 At night with the candlelight and chandeliers it looked like a jewel box. A grand staircase led you down from the bar into the dining room that felt as rich and refined. Our meal was a three-hour event with too many dishes to list, but I will say that it was an honor to see familiar friends like our Chioggia beets, parsnips, field greens and sunchokes presented so masterfully. We had no less than five waiters attending to us that evening. Las Vegas is a city built on fantasy and that meal was certainly one. I am heartbroken that Alex is now no longer, but I feel very special that we had the opportunity to dine there. It was magic, absolute magic. I’m a devoted regular shopper. I love your newsletter. I love the recipes which broaden and deepen even more my respect for your beautiful organic produce. Thank you for staying a local farmers market, we appreciate all of you more than you can know! Thank you too! We truly appreciate our customers and love the support from the community!